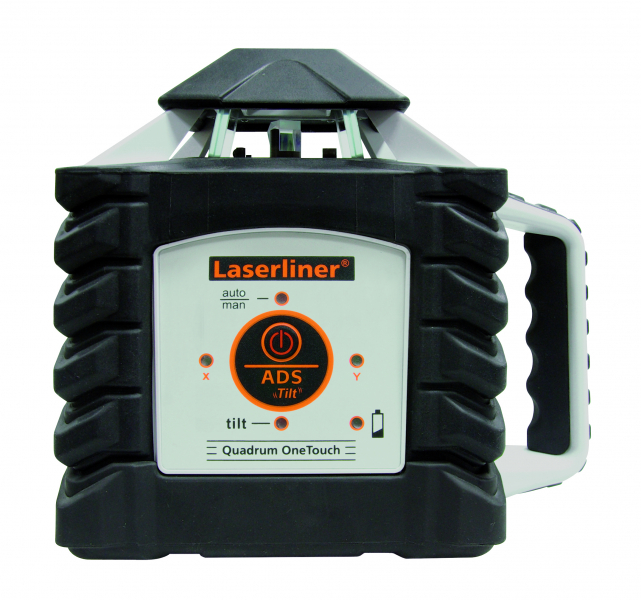 OneTouch operation: The laser is switched over from setup mode (AntiShake) into secure mode (ADS-Tilt) with a single press of a button – simple operation. Sensor Automatic: electronic positioning motors controlled by temperature-stable sensors make horizontal alignment automatically. AntiShake: for rapid set-up, on vibrating surfaces and in windy conditions. A manual slope mode permits the layout of gradients up to 5 °. With its extra long receiver unit, the SensoLite 410 enables quick laser acquisition over great distances. LC displays at the front and rear, super-bright three colour signal LEDs and melodies indicate the level of the laser beam. Tough, waterproof housing with powerful head and side magnets. Long service life thanks to effective power supply.